(Academy Award Nominee for Best Foreign Language Film) Before Alicia Vikander became an A-list Hollywood star on the strength of such films as The Danish Girl and Ex Machina, she starred as Princess Caroline Matilda in this 2012 film, in Danish with English subtitles. 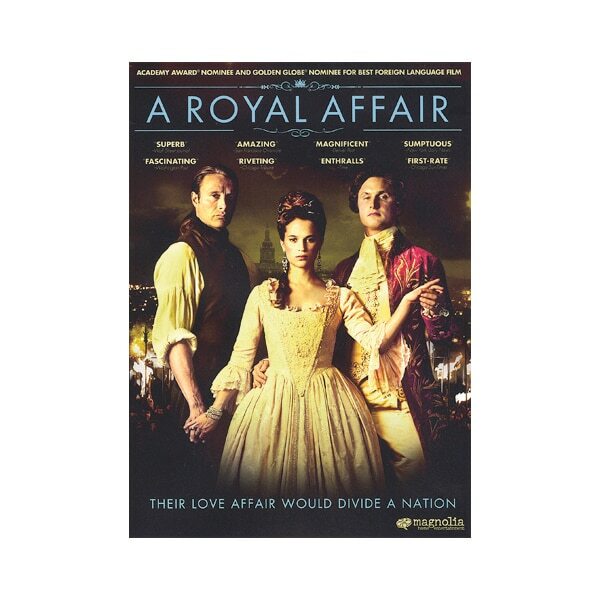 In 18th-century Denmark, the young British royal marries unbalanced King Christian VII (Mikkel Følsgaard), and soon regrets her decision. Influenced by the ideals of the Enlightenment, German doctor Johann Friedrich Struensee (Mads Mikkelsen) influences the king to modernize his country's laws, but when he sets his sights on the queen, their romance could cause the overthrow of the monarchy. DVD extras include interviews with Vikander and Mikkelsen.